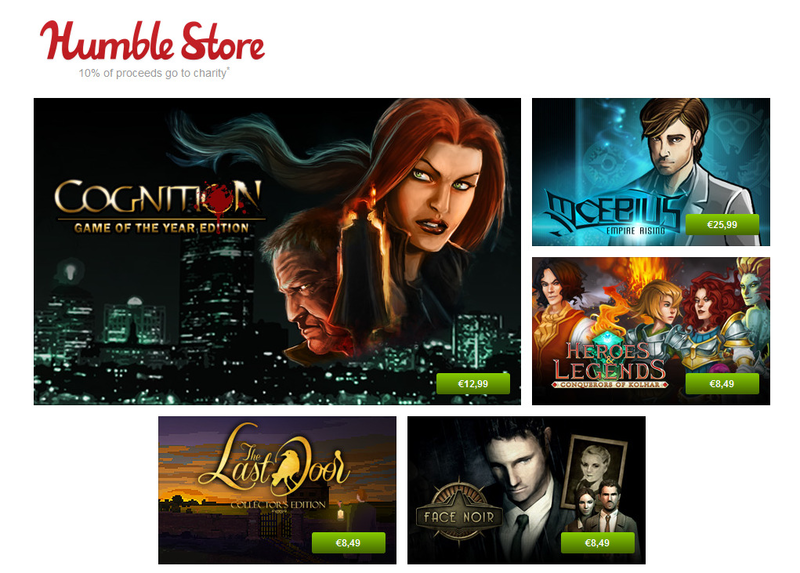 Phoenix Online Holiday Sale 2015 Bursts Onto the Scene – with Mobile Buddies! 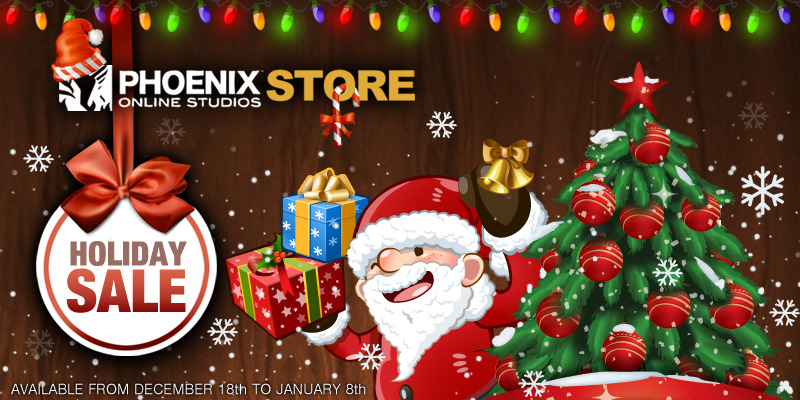 ‘Tis the season to be jolly at Phoenix Online as we open our store again for a holiday-fest of savings! 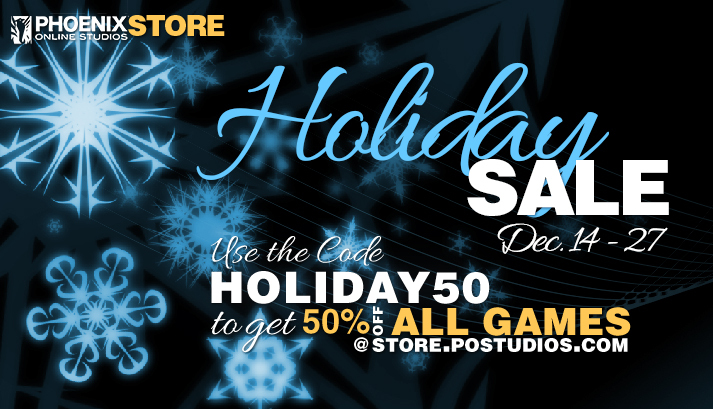 Use code HOLIDAY50 when you checkout from today to Sunday, December 27 to get 50% off of our whole library of games! Be sure to check our Facebook and Twitter for notice of flash sales on individual titles to save even more! 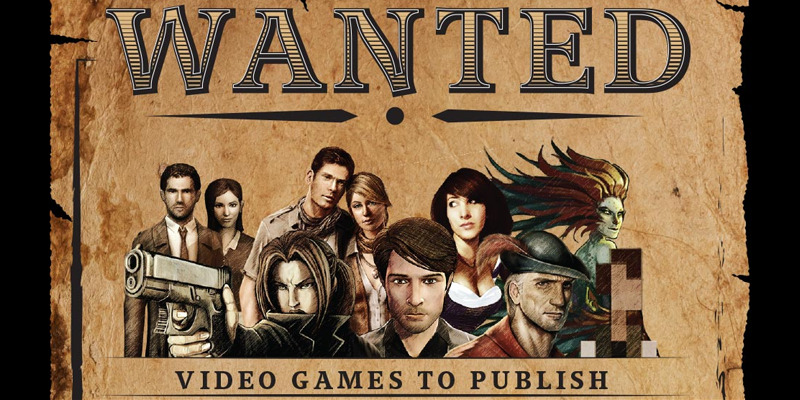 Have a mobile device for gaming? Our mobile games are joining in with their own discounts, too! No code needed! So if you’ve been wondering when Gabriel Knight iPad version or Morningstar Android is finally discounted, wait no longer. We’ve got you covered. Just check the iTunes App Store, Google Play Store, and Amazon Appstore today. Happy Holidays from Phoenix Online Studios! 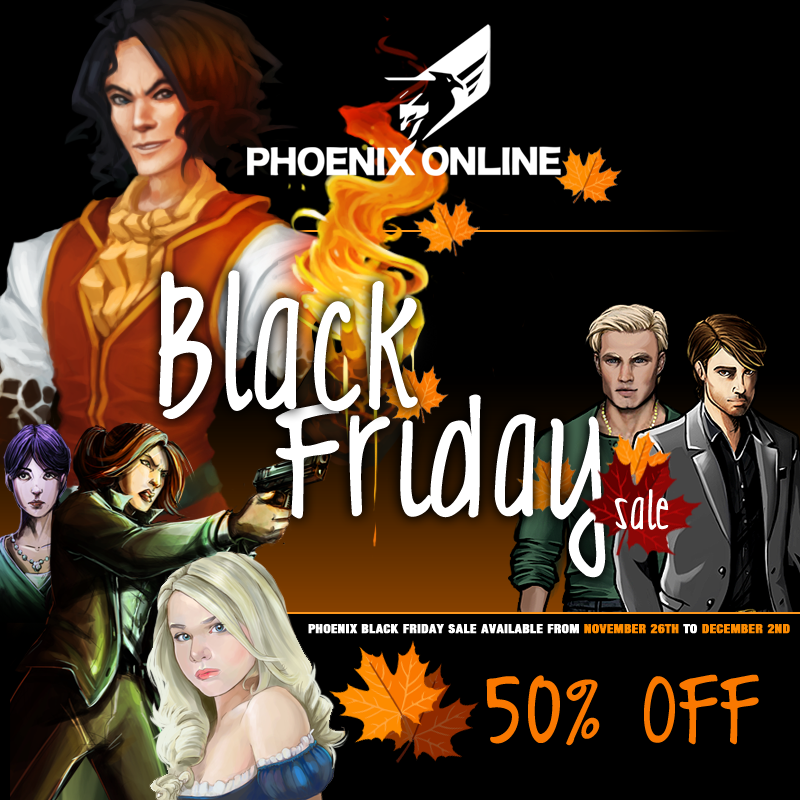 Phoenix Online Black Friday 2015 Sale is On! Looking ahead to a shopping rush during Black Friday? 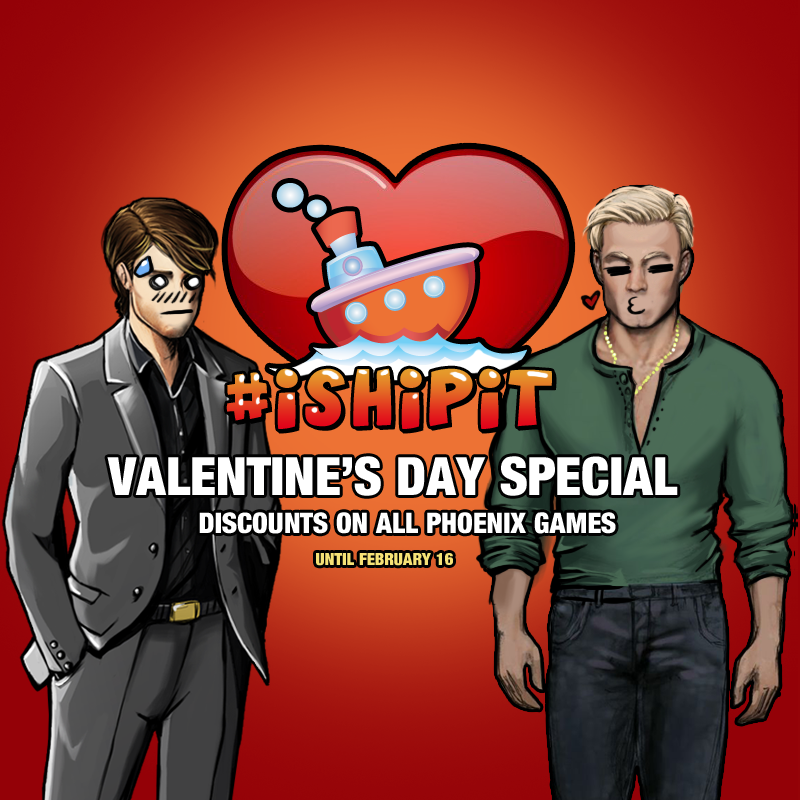 We at Phoenix Online are saving you the lines and hassle by opening our sale early! 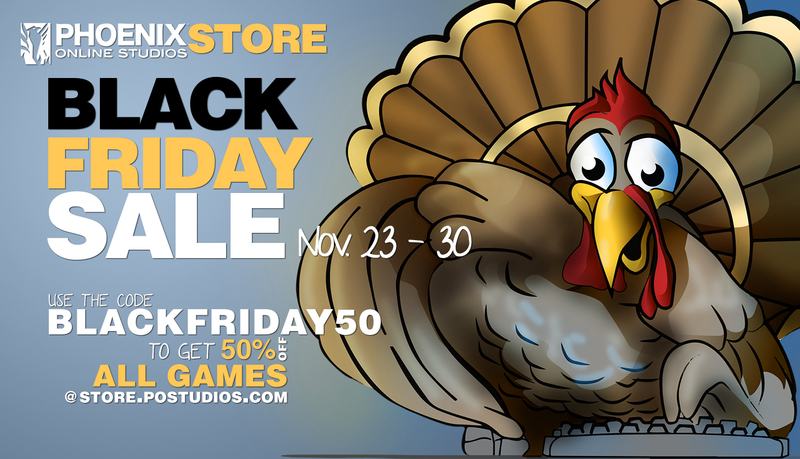 Starting TODAY and going through the Thanksgiving weekend, get 50% off our whole library of games with the code BLACKFRIDAY50. Save Thanksgiving for hanging out with the people you care about… US! Okay okay, your folks can come, too. Happy Turkey Day from all of us at Phoenix Online Studios! 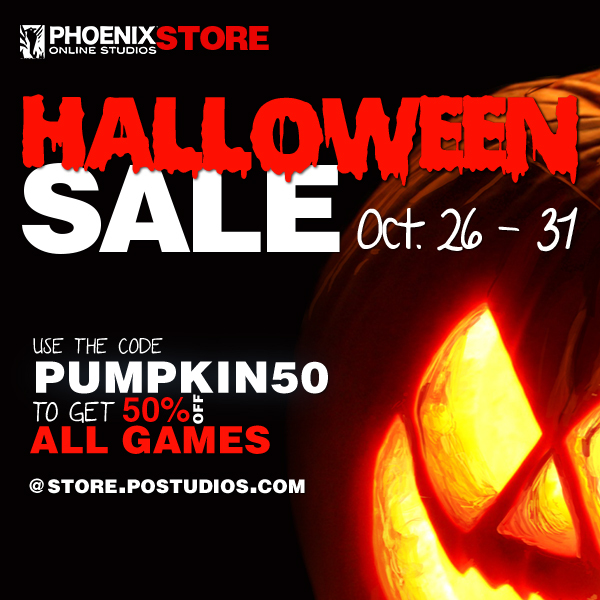 Phoenix Online 50% Off Halloween Sale 2015 is ALIVE! 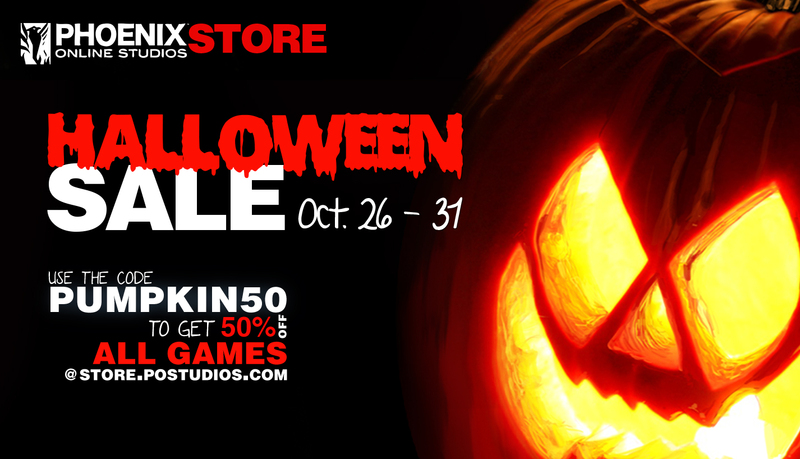 In celebration of Halloween, we here at Phoenix Online are setting up the cobwebs and jack-o’-lanterns and slashing our prices in half to boot! 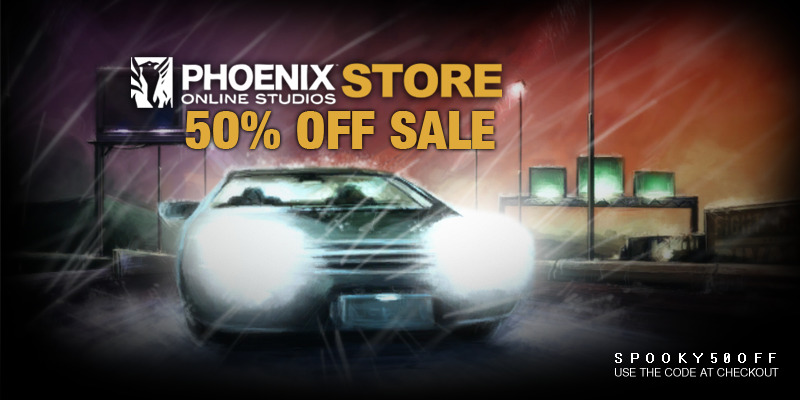 All this week, enjoy at least 50% off all our games on the Phoenix Online store! Enjoy your Halloween! Our tricks are your treat!